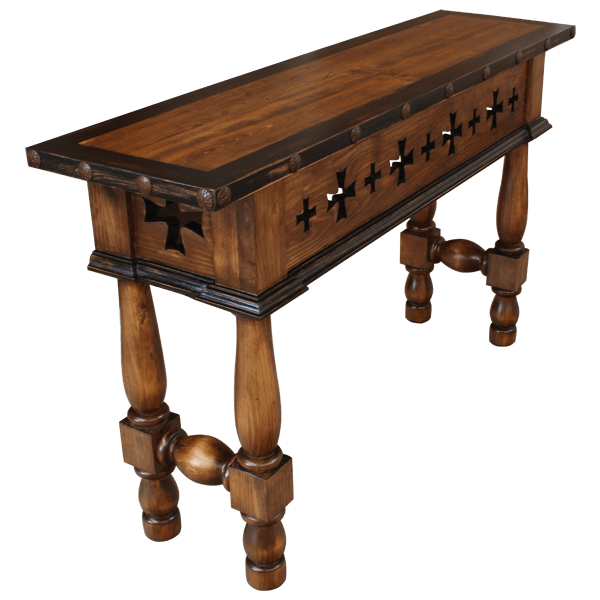 This handcrafted, Spanish colonial style console features a beautiful, antique finish with spectacular, hand carved details. 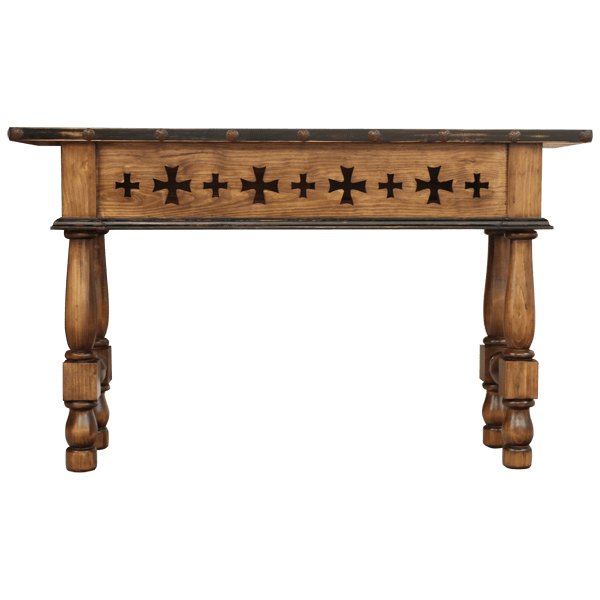 The face of the front of the console is adorned with cut out Spanish colonial style crosses, and this design is continued on each lateral side of the console. The front and each side of the console terminate in a lower, solid wood molding. 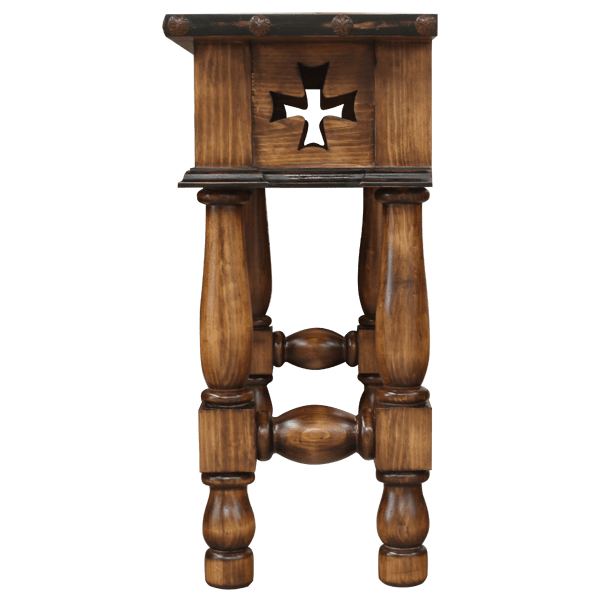 The console has an open, wide top, with a classic, straight, top rim, and the top rim is adorned with hand forged, wide, iron nails intermittently hand tacked to its side. The console rest on opulent, hand turned, trumpet style legs, and the legs are connected by hand turned crossbars. It is made with the best, sustainable, solid wood available, and it is 100% customizable.